Posted on Monday, April 3rd, 2017. - Filed under 77-Inch. Are you looking for large screen OLED 4K UHD TV? If you do, then I’m sure that OLED77G7P and OLED77G6P from LG are two choices that you have on your mind. LG OLED77G7P comes as the successor of LG OLED77G6P in LG’s 2017 TV lineup. As the successor model, We can find that there are similarities between those two TVs. But Is there any improvement on the successor model? 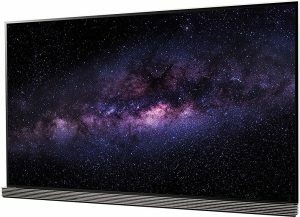 Let’s discuss more about the new LG OLED77G7P and the older OLED77G6P on this article and talk further whether there’s improvement on the new model from the older model. LG OLED77G7P comes as part of LG G7 and the largest screen size option for this model. With its OLED Panel, you can enjoy perfect black with infinite contrast on LG OLED77G7P screen. OLED Panel also cinematic color details as It comes with wide color spectrum that match today’s digital cinema. LG OLED77G7P comes with the new Active HDR as its HDR technology that support Dolby Vision. With Combination of Dolby Vision and Dolby Atmos, you can enjoy cinematic watching experience at your home. LG OLED77G7P’s Smart TV platform is WebOS 3.5. WebOS 3.5 comes as the improvement of WebOS 3.0. As the improved Smart TV platform, WebOS 3.5 is smarter while It’s also more intuitive and faster. WebOS 3.5 is completed with Magic Remote that make controlling the TV and WebOS easier and faster with its natural voice recognition feature. LG OLED77G6P is the largest screen size OLED 4K TV that you can find in 2016 lineup. It comes as part of LG G6, the top model for OLED TV from LG’s 2016 TV lineup. 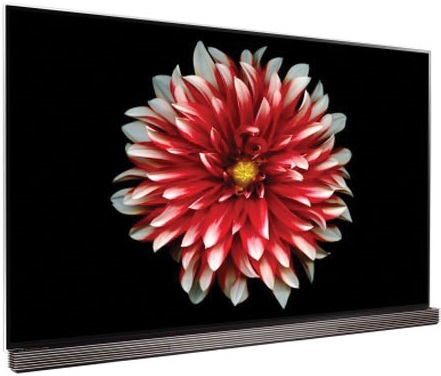 LG OLED77G6P is able to deliver perfect black with its OLED panel since Its pixels can be powered off completely, while each of its pixel can be autonomously dimmed and brightened so that We can get infinite contrast on its screen. Cinematic color also can be enjoyed on LG OLED77G6P as It comes with wide color palette that match today’s digital cinema. LG OLED77G7P is completed with HDR technology through its OLED HDR that already support Dolby Vision. The Smart TV platform of LG OLED77G6P is WebOS 3.0 that can deliver your favorite contents while It also can run additional apps with the access to LG content/Apps Store. LG OLED77G6P comes with 3D feature so that you can enjoy your favorite contents on both of 2D/3D format. It’s a good idea to look at the specs and features of LG OLED77G7P and OLED77G6P before We can talk more about their differences. The specs and features of LG OLED77G7P and OLED77G6P can be found below with similarities-differences table format. If We look at the table above, We can find that there’re few differences between LG OLED77G7P and OLED77G6P. We can see that most of those differences are improvement from the older model. Their key improvements come from the HDR version and Smart TV Platform installed on those two TVs. LG OLED77G7P comes with the new Active HDR with Dolby Vision. Active HDR is the improvement of OLED HDR that installed in LG OLED77G6P. Active HDR is able to bring better expanded details and better contrast vibrancy than What OLED HDR can deliver. LG OLED77G7P also comes with the new improvement WebOS 3.5 that replace the WebOS 3.0 that used by LG OLED77G6P. LG OLED77G7P and OLED77G6P are both completed with 4.2Ch 80W speaker system but LG OLED77G7P is better with the new Dolby Atmos that attached to it. With additional Dolby Atmos that paired with the Dolby Vision, you can get better cinematic sound experience in LG OLED77G7P than what you can get with LG OLED77G6P. There’re indeed few cons with the new LG OLED77G7P. The first cons is LG OLED77G7P is not completed with any 3D feature. So you can’t enjoy your favorite entertainment in 3D mode with LG OLED77G7P, while LG OLED77G6P is completed with Passive 3D. Actually You don’t have to worry about that since the picture quality of LG OLED77G7P is indeed almost 3D-alike with its latest Active HDR. The second cons is its price. LG OLED77G7P comes as the new model so you can find It’s commonly offered at the higher price by the retailers. So you should prepare more budget for that. Should You Choose the New LG’s 77-Inch LG OLED77G7P?